Reader Chris Benedetto requested a song from The Police's 1981 breakout album Ghost In The Machine called "Every Little Thing She Does Is Magic." Although recorded in 1981, Sting wrote the song in 1976, and an early demo of it can be heard on the Strontium 90: Police Academy soundtrack. The keyboard parts were added by session keyboardist Jean Roussel, whom Sting invited to play on the track against the wishes of his bandmates Andy Summers and Stewart Copeland. As with all song analysis, we'll look at the song form, the arrangement, the sound and the production. The pop beginning of the song is a very standard verse, chorus, bridge pop song, but the outro is different in that it occasional changes shape in the turnarounds. The Fade is almost like another song that's loosely built around the pop beginning, but changes a bit just at the end of the fade. Very interesting, but most Police songs seem to have a twist to them. Although The Police is basically a guitar trio, this song is far from it, being based mostly around acoustic piano and synthesizer. What's interesting is the multiple layers of piano and synth. I count at least 4 different piano parts, which don't all necessarily play at the same time (a couple do in the verse, and one is even doubled), but tend to overlap one another. You don't hear much guitar except for the beginning of the verse and bridge, as it's seamlessly blended into the rhythm section. The synth parts go from a brass-like pad in the verse to a calliope sound to almost a steel drum sound in the chorus. * The Foundation: Fretless bass, drums, and rhythm guitar. * The Rhythm: Synth in the chorus, delayed guitar in the verse. * The Fills: Chorused guitar in the bridge, piano in the verse. "Every Little Thing" has a very interesting sound to it. The doubled vocals are way in the back of the mix and the drums are way in the front. At times there's almost too much going on but the balance of everything makes it all work. There's a very short and dark room on a number of instruments that you can only hear during the stops as the decay hangs over. I especially like the timed delay on the piano in the outro (I like that sound in general) as it pushes it back in the mix and gives it another layer. Although the first couple of Police albums were done on a budget and were pretty sparse as a result, Ghost In The Machine was done first-class with Hugh Padgham at the helm, and it sounds it. This would have been a completely different song had it been left in the guitar trio format, so credit is due to making the decision to go with the keyboards. That said, the only way this song could have worked was to layer the effects of each part, and in the great tradition of English mixers, Padgham did an excellent job. The fretless bass and doubled vocals were also a nice touch. Don't be afraid to send me your song requests. I'll try to get to them all as soon as possible. 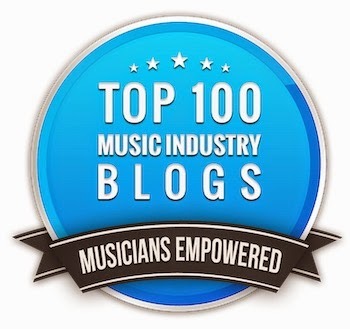 Here's a good post by Dave Cool, the Blogger In Residence at musician website and marketing platform Bandzoogle, by way of Hypebot. In it he outlines what he calls the "5 characteristics of full-time musicians." Having been a full-time musician for most of my life, I can verify that these characteristics are indeed true. The list applies to all musicians working full-time, from the blue-collar working man in the clubs to superstar, by the way. "1. They work (very) hard. The artists and bands that I know that are making a full-time living are some of the hardest working people I know. They hustle every day and work long hours, evenings, weekends, whatever it takes to get the job done and bring in the income they need to survive. Most bands dream of quitting their day job to do music full-time, but some don’t realize that it is a job to be a full-time musician, and you might end up working harder and longer than any day job out there, but the reward will be to do what you love for a living. 2. They love what they’re doing. To make it as a full-time musician, you have to eat, breath and sleep music each and every day. In order to do this, you have to truly love what you are doing and be extremely passionate about it. It’s not always going to be glamorous, and most often it’s going to be a lot of hard work. When you’re on tour for weeks at a time, driving long hours cramped in a van, sleeping on floors and barely making enough money to eat, you really need to love what you’re doing to get through those tough experiences and breakthrough to the other side when the money does start to come in. 3. It’s not about the money. Speaking of money, I don’t know a single full-time artist that is playing music simply for the money. They have a passion for writing/performing/recording music, and they take their art and their craft seriously. It’s all they know and it’s all they want to do. Money is secondary, and when it comes, it’s simply a by-product of the work they are putting in. Don’t get me wrong, although it’s not about the money for these artists, they do have a business sense, which is extremely important. They know how to manage their finances and put a value to the work they are doing. 4. They have support. Being a DIY artist doesn’t mean you have to or should do it all on your own. Derek Sivers, the Founder of CD Baby, wrote a great blog post talking about this subject: http://sivers.org/diy. Essentially, Derek says that DIY shouldn’t mean Do-It-ALL-Yourself, but instead should mean Decide-It-Yourself. This is so true, and all the artists I know who are making a full-time living have some kind of support team in place, either a manager, agent, small label or assistant to help them with their career. They didn’t necessarily start out with these people in place, but over time they developed a team to help them manage their careers. In some cases they are life partners, sometimes close friends, but more often it's a professional manager and/or agent who got on board once they reached a certain level in their career development. 5. They don’t give up. And last but not least, they simply don’t give up. I can’t tell you how many artists and bands I’ve known that after 1 or 2 albums they simply pack it in because they didn’t “make it”. This especially seems to happen after a few tours. Being on the road can be a difficult experience for most people, which goes back to having to really love what you’re doing to get through those moments. The artists I know that are now making a living full-time from their music just stuck to it, through thick and thin. A gig falls through? They find another one. A band member quits? They replace them. They just keep going no matter what obstacles they have in front of them. This is all they know, and they don’t make any back-up plans." This last point is very poignant. Most of the rest of the world always has a "plan B," but the full-time musician doesn't. He may fall into something else in the business and take advantage of the opportunity, but it's rarely intentional. Full-time musicians play. That's all they know, and all they want to know. If you don't like the sound of that and you want to make lots of money, then it's time to go to business school and be a banker. Ready For A 27 String Guitar? "27 strings were chosen not to have more strings than everyone else (as has been implied) but because I felt that was what a guitar note scale range stood. The highest note on the 27 string was the same note as the highest note on the smallest string on most of my guitars. It was a “b” note. The lowest note on the 27 String was an octave lower that a ‘dropped D’ on a guitar. And, the intention for the 34 string is to fill in the note gaps in the 27 string to carry the notes from an high ‘e’ to a low ‘E’. (again, not to be as pretentious to do it out of having more strings but to make a set of tones available.)" "…the more I thought about it the more discouraged about it I became; I mean come on, you can only play one neck at a time. The idea faded; or so I thought. I found myself still tinkering with sketches of it when that picture of Michael Hedges found its way to my eyes. As soon as it did it was like I got smacked in the face; my heart started racing and immediately saw the direction the drawing needed to go in. I wanted to simply extend the strings placements on both sides of a regular guitar so as to continue the scale note patterns and keep some music in the air without dead spots musically (if that makes sense)." 27 strings sounds impressive, but believe it or not, Keith didn’t create the guitar with the most strings. In 1984, Linda Manzer and Pat Metheny created a 42-string guitar called the Pikasso. Here's another of those celebrity gig horror stories, this time from Tina Weymouth, the bass player from Talking Heads and Tom Tom Club. In it she describes the last gig with Heads in 1984, which it turns out fell far below anyone's expectations, as well as a disaster gig in New York. You can read more "worst gigs" at the Guardian.co.uk. "Our supreme Spinal Tap moment was with Tom Tom Club. They were celebrating the Howl! Festival in New York. We agreed to do it because we thought it'd be great to do something for the community and the arts. The opening act was a band called Mini Kiss: a group of dwarfs, or midgets … little people, whichever is the politically correct way of saying it … dressed in full outfits and makeup, but with no instruments, lip-synching to Kiss songs. By the time we went on, most of the 30 people had left. The band was almost larger than the audience. And we went out there and played our hearts out. At the end of the gig our crew backed our rental truck into the marquee and every penny we made had to go to the replacement of that. I can laugh about it now, but at the time it was almost tragic. The absolute worst gig ever was the last Talking Heads show. We were headlining this tour in Australia and New Zealand. Opening for us were bands like Simple Minds, INXS, Eurythmics, B52's, Pretenders … It was a phenomenal lineup, and we were the headliners, and it was a fantastic opportunity. But we couldn't go on stage because David Byrne, without telling anyone, had let on a couple of crazy girls – who I suppose had their hearts in the right place – who were trying to promote this freedom for Maori people thing, but it was the wrong place and the wrong time. People were booing and throwing things at them, and that was difficult enough. Anyway, we finally got on stage and we were five songs into the show when David Byrne ran off and refused to come back on. He said: "I'm not going to play for a bunch of people dancing in the mud." Go figure. David had a lot of temper tantrums when he got to be a big star. He couldn't stop it; fame and the whole diva thing was just overwhelming for him. There was meant to be a great big party afterwards and David didn't even show up. It was just this really sad, dismal affair where people got quietly drunk in the corner. The tour ended not with a bang but a whimper. It was awful that everything we'd been working towards ended like that." Care to share any of your own "worst gigs ever"? Either post a comment or email them to me. Every musician who has ever played in public has played some great gigs and some horrible ones, but it seems like the horrible ones are what we remember most. Usually the memories are of an extremely small crowd, or a hostile one, or circumstances either before or after the gig, but those of us who grew up playing in clubs always thought that once we graduated to touring then all of those terrible gigs would be left behind. That's certainly not how things work, as bigger gigs usually come with bigger problems. 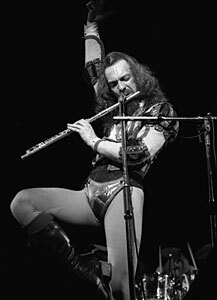 In an article for The Guardian, Jethro Tull frontman Ian Anderson described a number of really bad scenarios that happened, surprisingly when they were one of the biggest acts in the world. He describes one especially unpleasant incident playing at New York's Shea Stadium in 1976. "I stood with the rest of the band at the top of the ramp leading down to the field of Shea Stadium. As with The Beatles' Shea show 10 years earlier, this was not to be an artistic success, to say the least. Commercial jets on final approach to the adjacent La Guardia airport drowned out the sound, when it wasn't being drowned out by the firecrackers, whistles, hoots and hollers of the crowd. In those final moments before walking out on to the field, I was suddenly drenched with warm, sticky liquid from high above, where some of the rowdy, 50,000-strong audience looked down on to the players' access ramp. Only as I began the inaudible first verse of "Thick as a Brick" on acoustic guitar, did I realise with resigned horror that the liquid I assumed to be beer, was not, in fact, beer at all. It was urine. The unmistakable pong wafting from my then-ample head of damp hair and freshly laundered stage-clothing would remain for the duration of the show. An unholy baptism from above. I could have picked the gig at Denver's Red Rocks Amphitheatre in 1971, when riots and police tear gas threatened to stop the show. Or being hit hard in the larynx by a baseball at Philadelphia's Spectrum arena. Or anointment by the freshly plucked but seriously used tampon hurled with uncanny accuracy at another enormodome. Or the 10in steel spike impaled in the stage next to me at soundcheck when "fans" climbed into a roof gantry over the stage at soundcheck. Or the live rounds of automatic pistol ammunition thrown on to the stage during a show. But no – the bucket of piss, delivered with loving precision, wins out every time. You have to laugh. And count the money."